The many creative ways to find off-market sellers who might want to sell their property but are overwhelmed by the process. Whitney covers ideas that range from bandit signs to Airbnb listings. 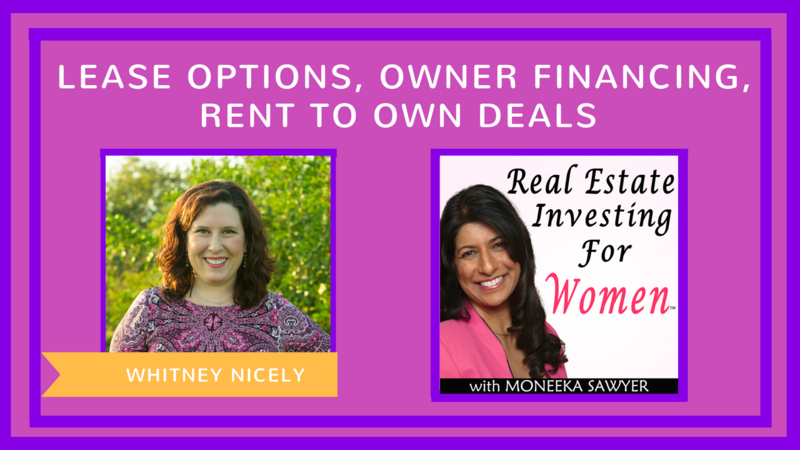 Whitney Nicely is an expert property investor, speaker, and real estate coach. Today, she’s called the queen of real estate investing in East Tennessee. On our podcast today, she’s sharing not only her passion for real estate but also, savvy strategies to help you buy property. It’s the kind of information she shares with her coaching clients---motivating them to take the leap into real estate investing. Whitney teaches hundreds of women how they can use no money down, no credit and no banks to finance real estate deals. In less than three years, she’s negotiated nearly 60 real estate deals and generated more than $25,000 in passive income each month. It's a video case study on how she did her first 14 deals in her first 9 months and made $136,000!